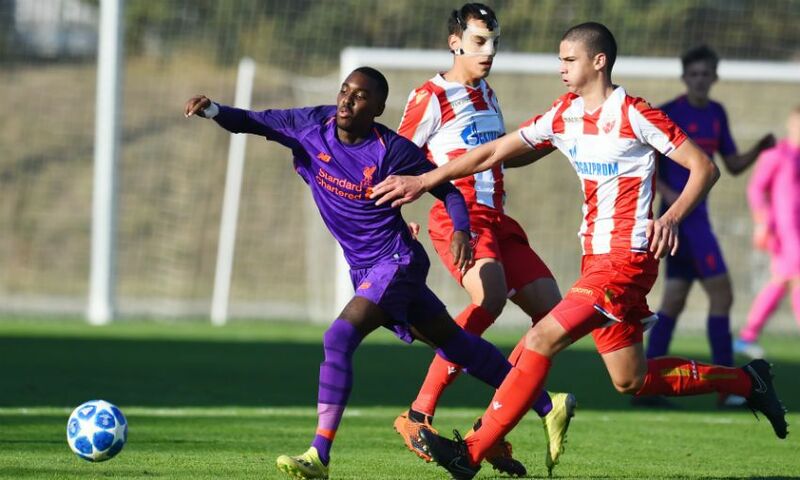 Liverpool U19s sealed progression from UEFA Youth League Group C with a 2-0 win over Red Star Belgrade. Curtis Jones and Adam Lewis scored second-half goals to secure an away victory that means Barry Lewtas’ team remain first in the pool and are guaranteed a top-two finish having amassed 10 points from four games. Matchday five will see the young Reds take on second-placed Paris Saint-Germain, who sit three points behind after beating Napoli 5-2 earlier on Tuesday. Should they avoid defeat in the French capital, Lewtas’ side will qualify for the last 16 automatically as Group C winners. A loss to PSG would leave the possibility of having to compete in February's play-off round open, though. 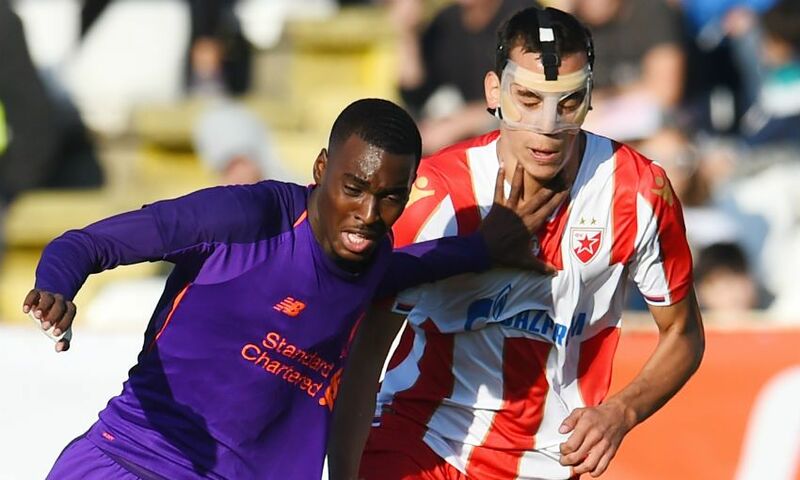 Liverpool had to be patient in Belgrade, with their early control of proceedings being wrested away by a determined Red Star outfit. But two goals in the space of seven minutes from Jones and Lewis settled matters. Jones reacted quickest to bury the rebound after Rafael Camacho’s header had been saved, before a trademark Lewis free-kick ensured the points would return to Merseyside. 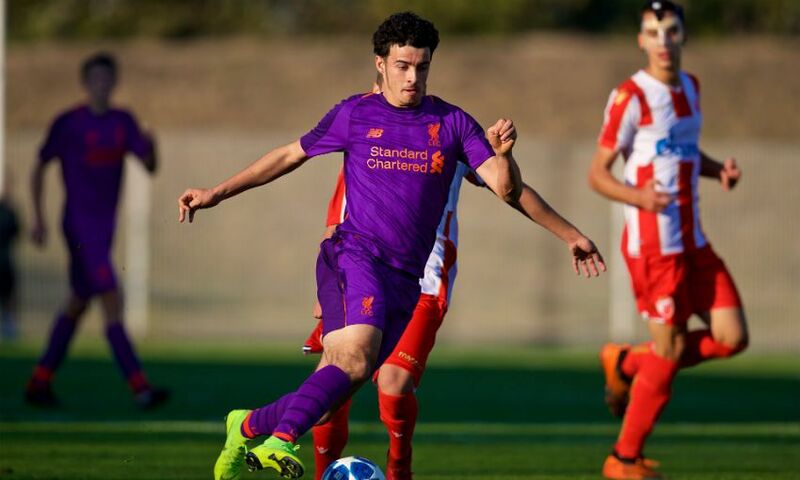 Right-back Neco Williams had two efforts on goal inside the opening eight minutes as Liverpool sought to assert their superiority from the off. Neither required Milos Gordic to make a save, but Jones did force the Red Star goalkeeper to tip his low effort from distance wide soon after. Gordic was again called into action when Camacho drifted away from his marker and curled a shot on target, before the young Reds’ No.11 - who scored spectacularly in the reverse fixture a fortnight ago - saw a long-range attempt dip over the crossbar. 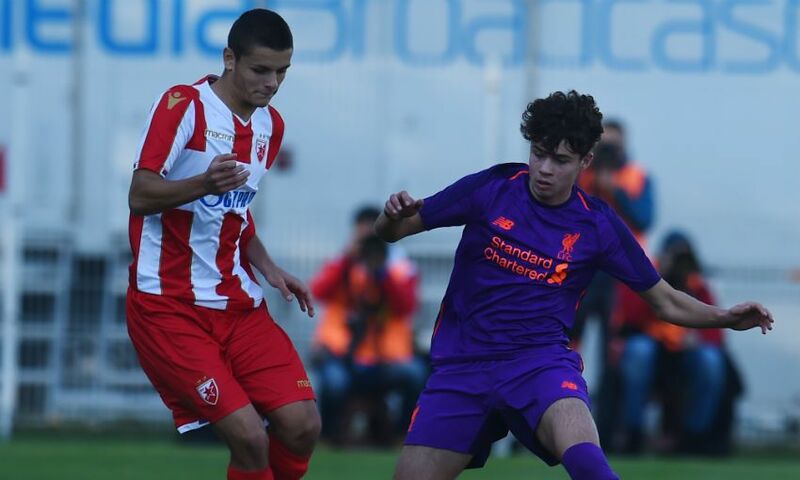 Bobby Duncan then nodded Camacho’s cross over and, although the opening half an hour was played almost exclusively in Red Star’s half, Liverpool’s dominance was not reflected on the scoreboard. And, having escaped an early barrage unscathed, Red Star pushed forward with intent and created several chances before half-time. Vitezslav Jaros was equal to the hosts’ new-found attacking threat, however. 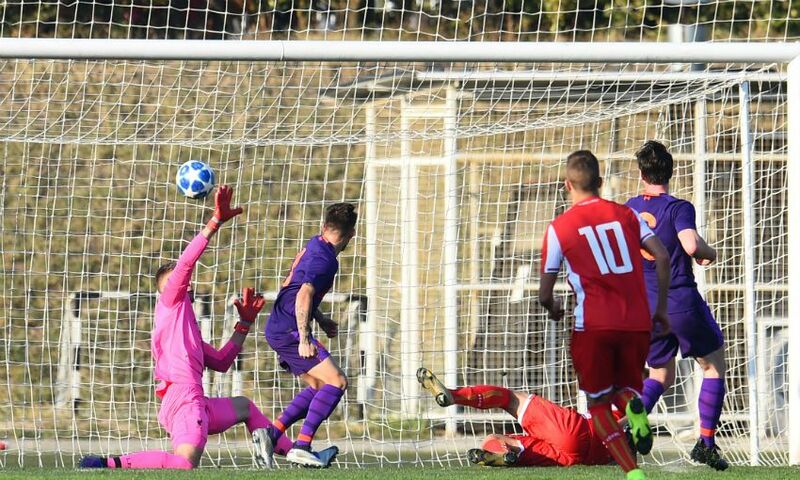 Liverpool’s ‘keeper produced a stunning reaction save to divert Njegos Kupusovic’s bicycle kick onto the bar, and then denied Red Star’s No.7 again as he bore down on goal. Jaros got down smartly to thwart Dejan Joveljic in the final minute of a half Lewtas’ team began strongly and ended on the back foot. 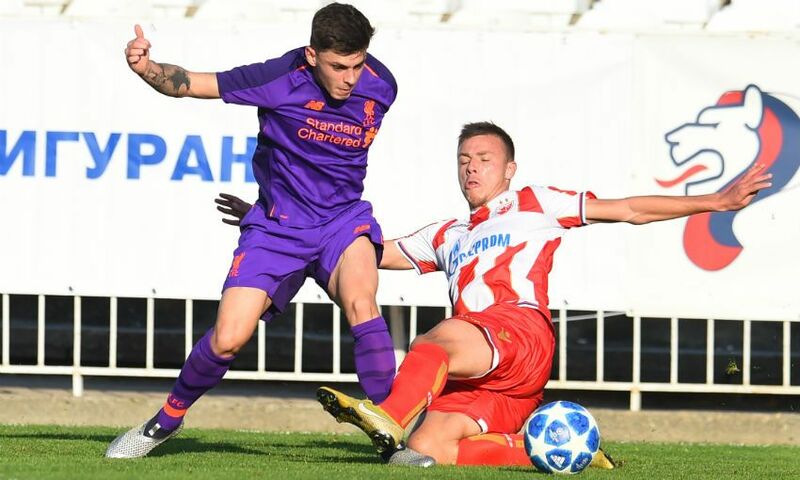 The home side started the second period in the ascendancy, too, and Liverpool were again indebted to Jaros for keeping them level when he spread himself to block Joveljic’s shot after the Red Star captain had swivelled in the area. But it was the visitors who would take the lead with 22 minutes remaining. Gordic could only palm Camacho’s powerful header from Bobby Adekanye’s cross into the onrushing Jones’ path, and he smashed the loose ball into the roof of the net. 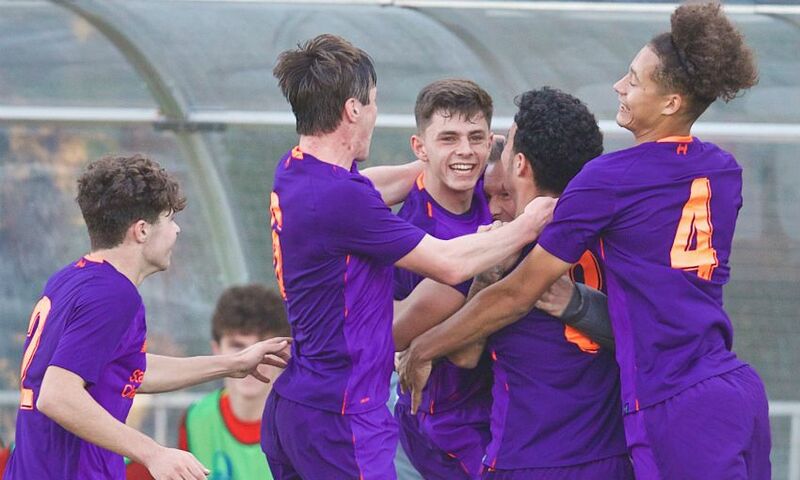 Lewis quickly doubled the advantage - and Liverpool’s captain did so in fine style, too, stepping up from nearly 30 yards to bend a brilliant free-kick beyond Gordic and into the top corner. The young Reds now know that if they remain unbeaten in Group C after the meeting with PSG later this month, their spot in the last 16 is assured. 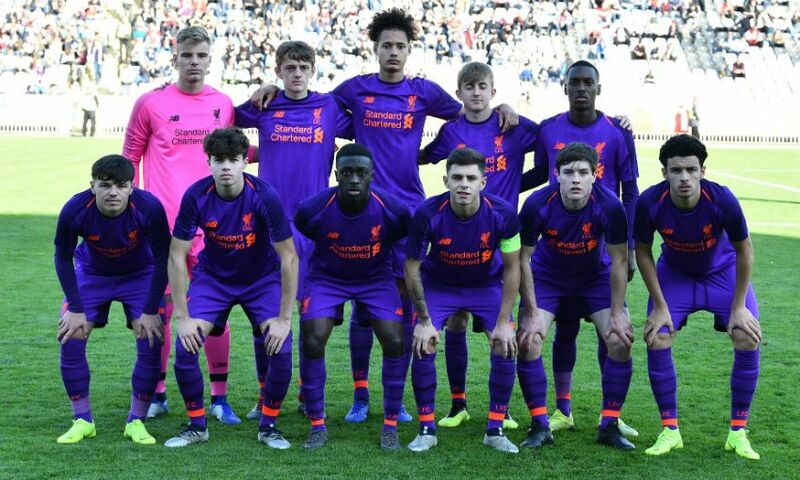 Liverpool U19s: Jaros, N Williams, R Williams, Clayton, Lewis, Coyle, Cain (Dixon-Bonner), Jones, Camacho (Larouci), Adekanye (Hoever), Duncan (Glatzel). Unused subs: Kelly, Clarkson, Longstaff.